Sunk 17 October 1922 by 25 rounds of gunfire from the USCGC Shawnee [WAT 54] at position 32�'N 129�'W some 185 miles (298 km) from the location of her fire. Propulsion: Two 4,950hp four-cylinder quadruple expansion steam engines, two shafts. 132k Fitting out for World War I Navy service at the New York Navy Yard, Brooklyn, New York, in 1917. 71k In harbor, 1918, while painted in pattern camouflage. 68k Annotated, on its reverse: "The ship that took me back to the land of my birth". The original photograph was almost certainly reversed, as the camouflage scheme seen here was painted on Huron's starboard side. It has been reoriented for this photo. 100k At the New York Navy Yard, 23 May 1918, while painted in pattern camouflage. Courtesy of Boatswain's Mate First Class Robert G. Tippins, USN (Retired), 2005. 129k Arriving off Newport News, Virginia, bringing troops home from Europe, 1919. Panoramic photograph by Holladay, Newport News, Va.
96k Docked at St. Nazaire, France, in 1919. 96k Panoramic photograph, taken by the G.L. Hall Optical Company, of Norfolk, Virginia, showing the ship at the Norfolk Navy Yard on 27 February 1919. Donation of D.L. Tippens, 1969. 107k At Pauillac, France, 21 April 1919. The card is marked on its back: "Embarked at this port at this time on U.S.S. Huron for home. H.A. Smith." Photo courtesy of the Steamship Historical Society of America, Inc.
Center lake in the Great Lakes and a city in east central South Dakota. The third Huron was built as Friedrich Der Grosse in 1896 by Vulcan Shipbuilding Corp. Stettin, Germany, and sailed the Atlantic for North German Lloyd Lines until being interned in New York Harbor in 1914. She was seized as a prize of war 6 April 1917. Her crew had sabotaged her boilers so the ship was taken to Robbins Drydock Co., Brooklyn for repairs. The USSB then turned the ship over to the Navy, and she commissioned at New York Navy Yard 25 July 1917 as Fredrich Der Grosse. The ship, Comdr. 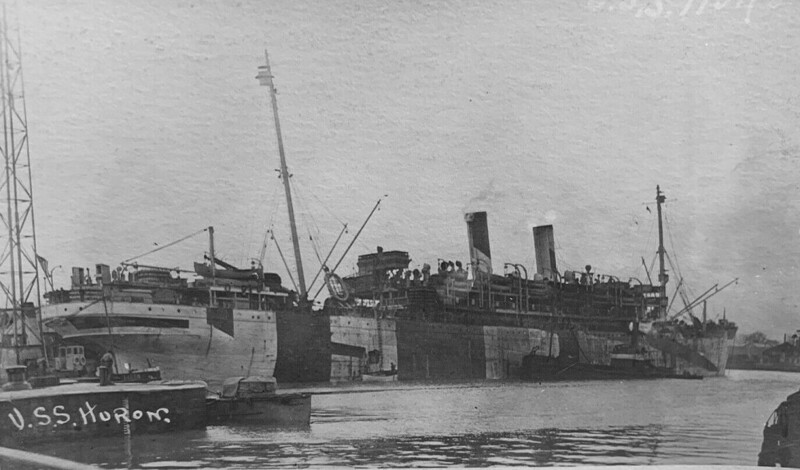 S. H. R. Doyle in command, was renamed Huron 1 September l9l7. 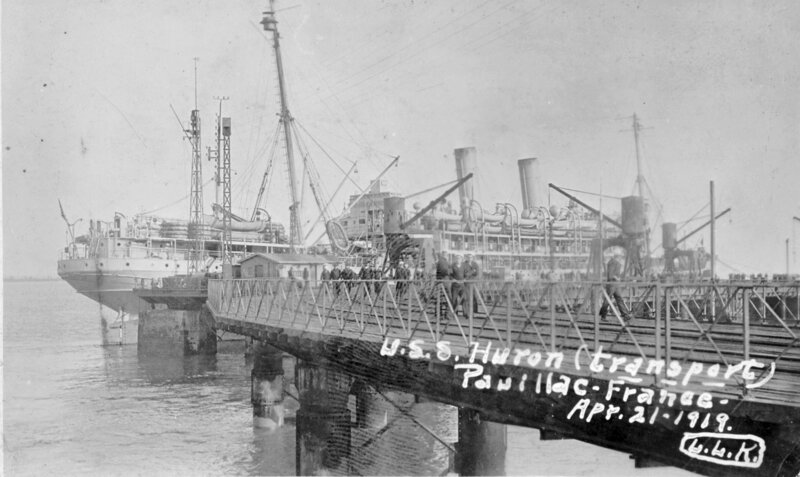 Huron acted as a troop transport during the remaining years of the war. 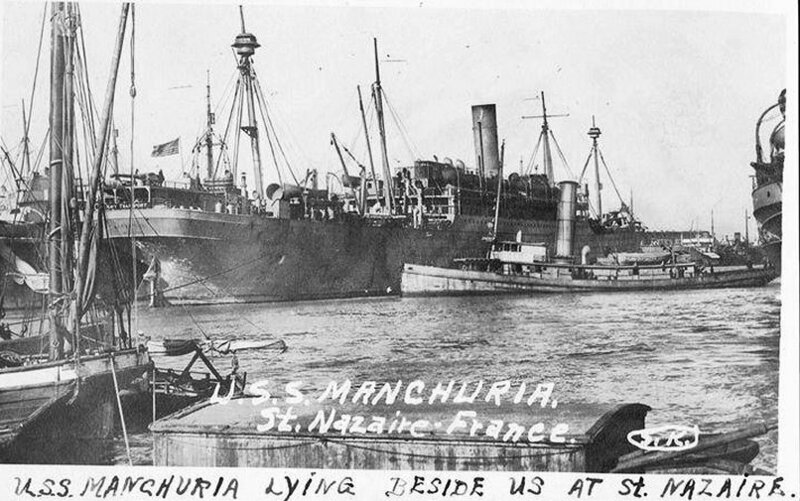 She made eight round trips to France before the Armistice, and then seven more, bringing American soldiers back from Europe. She arrived New York after her last voyage 23 August 1919 and decommissioned 2 September for return to the USSB. 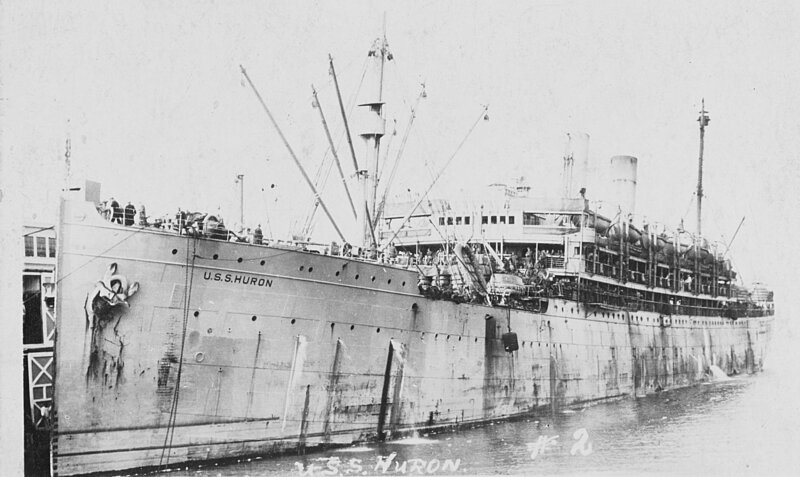 Huron operated in the Atlantic for the U.S. Mail Lines (later U.S. Lines) from 1920 to 1922. Renamed City of Honolulu in May 1922, she was turned over to the Los Angeles Steamship Co.; and on her maiden voyage caught fire 12 October and sank with no loss of passengers or crew.